You know, there is this small jealousy that used to choke us people of the lake especially with regards to people of the mountain. And I would feel it the most back when we were in campo. Friday comes and everybody goes out with his clan to spoil the city as campus custom requires. The earliest we get back to campo is like 5.30am; properly irrigated and with an inexplicable urge to sing. Our systems switch off as soon as our heads hit the pillows, but the moment I wake up next day with sun squatting on my light head, desperately looking for Fanta and Mara Moja, I find people like Chris Kibaki already showered and dressed up. It would take a moment for his words to find space in my system to sink in before I realized that his shagz is just behind here in Kiambu. He could leave campo at noon, go to shagz, have his grandma slaughter for him a chicken, eat until his stomach threatens to explode, and then come back before sunset. Listen. Those of us from Western did not have the luxury to see our grandmothers as often as we would have loved. Even now, for many, you cannot. Home is too far away to even contemplate it. For us going to shagz is a process. You cannot just say, “Ah, let me go like this and come.” You have to plan it all out. You check your calendar for a potential long holiday, make sure that nobody in Nairobi will be looking for you at that time. You make it clear to your friends to leave you out of any road trip to Vashaz manenos. You ask your boss for one extra day off that coming Monday. You have to, and this is very important, remind your okuyu friends that Siaya is not in Kisumu….and no, you are not bringing them back fish when you return. Not after they disrespect it the way they do – sijui eating it with a fork and knife and refusing to eat the engine. That one hapana. Ni gutee. If you have a car you take it for service, if you are flying you book a plane three months earlier, if you are going via bus you cut a ticket, and if you are going with a matatu you start praying to God that nobody snatches your bag at the stend. You do shopping because it has been a while since you were home and there is no way you can show up to your dani’s place without skari. You swallow anti-malarial tablets. You practice your Dholuo so that people back home don’t patronize you with “this one speaks Dholuo like a visitor…ero Narobi osemwonyi.” You get your local chief to sign for you your leave out chit. You go to kanjo and get a yellow fever certificate. And then you head over to Nyayo House to apply for a VISA, stating in no uncertain terms when you are going, when you are coming back, attaching an invitation letter from your dani, certificate of good conduct, your birth certificate and verified bank statements for the past six months. Maybe I am exaggerating. But only on the VISA. The truth is, for us going back home is not as easy as jumping into a number 200 on Mfangano Street. The closest you get to remembering home is when you send your dani an MPESA and she calls you back singing your praises; reminding you that you are a good man who has not deserted his wife because you were named after her husband. And it is a sad thing, when you come to think of it, eh? To not have the privilege of being at home whenever you want. Because Nairobi has a way of swallowing people and keeping them away from where their father’s umbilical cords are buried. And you know there comes a time when the pressures of this city come at you in a way that only home can heal, eh? Everyone should have that privilege, bana. In fact, it should not even be a privilege. It should be a right protected somewhere in the constitution. I am sure, however, that my sister who is based in the US is probably reading this and rolling her eyes so far back you’d think she is warging with a white walker. If you are not a Game of Thrones fan you will not get the joke, so do not bother trying, and really, that is your problem. Look, I always have a problem translating Dholuo to English, because I find this other language too insufficient to be used to translate my mother’s mouth. For instance, when a Luo man asks you “Ijakanye?” the everyday translator will say, “Where are you from?” But that is not what that question means. It means “You are a person of where?” Where you are from and where you are a person of are different things, right? When a Luo asks you “Ijakanye?” they are not just asking to know where your home is or where you are from. They are asking you to say that plus the name of your father, clan and village. So that means I am Magunga son of Oduor Meja of Karuoth Clan, from Alego Komenya Rabar, Siaya County. And that is what I usually say, but only because I do not want to get my ear pulled. In all honesty I feel like while Siaya is shagz, Kisumu is where home is for me. That is where I grew up. 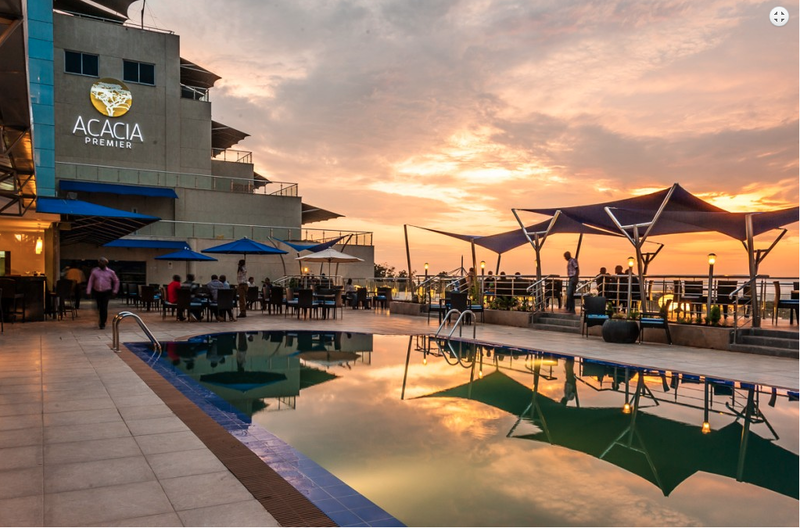 For eighteen years I knew no other town like I knew Kisumu, and the only reason I left was because I had to come to Nairobi for university….and now for work. Otherwise I am JaKisumo. A man from Kisumo. We do not even call it Kisumu. We call it Kisumo, with an o. Kisumo pacho. A city built by people of nyadhi. People made of pride as high as the range of hills to its East and greatness the size of the lake to the West. I am a born 90, with means that I did not grow up in Kisumo back when the world was still in black and white. I am of the generation that sprinkled colour to this city. It is during our time that the spice of modernity was added to the kado. When times changed and KBC was not the only TV Station. Meaning that we had to let go of URTNA and watch The Beat. Meaning that we are the ones who moved our mothers from following the never ending The Bold and The Beautiful that had more twists and turns than a bowl of spaghetti, and introducing them to Mario De Los Angeles, Escrava Isaura and Young and the Restless. Lakini one of the most profound ways in which this shift from the old to the new could be felt was in the transport system. We grew up with the original bodabodas. The Black Mamba bicycle ones with cushioned seats at the back – and sometimes, for the more hip and sophisticated ones – a SONITEC radio tied to the handle with black bladas. Kisumo still holds on to them, but only because Kisumo people are not the kind of people who forget the past. We hold on to the memories of history the way we do the love of the ones we lost. Then came the motorbikes with their loud engines. We call them apiko. They were faster and could go up a hill without the riders breaking a drop of sweat. The next thing to go were the Olwendas. Which means cockroaches. It is not that Kisumo was infested with bugs, no. That is what we called these small Peugeot 404s that came in all shades of colour and were used for town service. I do not know why we called them olwendas, perhaps it is because they were all over the place, but they had big eyes at the front and pointed tail lights. And even though the French intended for them to carry four passengers and a driver, we could easily fit a football team and its mascot inside one of those. Growing up in Kisumu, there were things that people could not just do. And when I say people, I mean common folk like me. You could not just, say, walk on the pavement of the Imperial Hotel, leave alone inside it. You could not just go hanging around Milimani Area, people who lived there breathed a different oxygen. And then you could not just decide to hop onto a plane and travel to Nairobi. Hell, back then that airport was not even an airport, leave alone an international one. To travel to Nairobi, if you were a person of modest means, you booked the legendary Akamba Bus. Otherwise, you just cut an Eldoret Express ticket and shared your seat with cackling chicken and yellow jerrycans of water for the 12-hour ride to the city that never sleeps. And if the lady sitting next to you was travelling with children and she asked you to carry for her one of them, there is no way you could refuse. If you had urgent business to attend to, you got into a Wepesi or a Tawfiq – that is, if the business was more urgent to you than your life, because those two were driven like they were stolen from the devil’s carpark. Nobody ever just flew to Nairobi. Not even the sick. You had to have one foot in the grave for you to be airlifted to Nairobi. And for that, you had to pay 20k plus, and it was only Kenya Airways, that only flew on Mondays and Fridays. The people who flew to Nairobi were mythical creatures – figures of lore created because someone’s son wanted to please someone else’s daughter. But that was a long time ago. Back when God was still a teenager. Time has a way of touching and opening up spaces. Today getting into a plane from Narobi to Kisumo (and vice versa) is not even something that will get you 20 likes on Instagram. It is as common as a coin. For just KES. 4500 bob you can get into a plane at Wilson and escape the fast beating pulse of the big city and head over to the lakeside for that weekend getaway – perhaps spend the night at the Acacia Premier Hotel (the newest sparkle on the Nam Lolwe’s crown), or enjoy a glorious sunset at Kiboko Bay, listening to hippos yawning in the distance. Both of which are in the hallowed Milimani neighborhood that used to be where gods lived. Last Monday I found myself in a plane from Wilson to Kisumu. The passengers on board were mostly a scamper of press, the Cabinet Secretary for Tourism, Najib Balala and a bunch of other people who I guess should be important enough for me to know. An airline was launching a new route to Kisumu. Somewhere midflight a lady popped a bottle of champagne, poured it for everyone on board and toasted to the new route. They now fly to and from the lakeside city twice every day. And when we got to Kisumu Airport – sorry, Kisumu International Airport – they did that water salute thing: two trucks standing on either side of the runway spraying jets of water over the aeroplane as it cruised easily to its parking spot…the way F1 drivers do with alcohol when they win a race. It was quite a moment for me, you see. Perhaps they did not know what it means to some of us, but it is almost as if they are bridging the distance between us and home. Not almost, even. They actually are. They are bringing home closer to us. Such that, just like Chris Kibaki, I can also decide to do a quick dash for home and then be back by evening if I want to. I may be home, getting a chicken murdered in my honour in the morning, and that evening I will be flying above Nairobi in the dark. And if you have ever seen Nairobi from the top at night then you know how the street lights in the highways look like golden streams of fire cascading down from an erupted volcano somewhere. And then the Upper Hill and city center skylines in the distance? Ah! Beautiful like you wouldn’t believe. It may not be as cheap for me to go home and back as it may be for Baks, but what the hell, man. We are Luos bwana. Pesa otas, donge? I don’t know who you’re hanging out with, but you need new friends. The engine is the best part! Pesa otas bwana hata mimi nikisakubali. Anyway east or west home is best. It is only at home that you will always be welcome no matter how long you’ve been away.